Ever since the Osama bin Laden raid, America has gone bonkers for US Navy SEALs and Military Special Operators in general. Putting 100 thousand troops and countless private support personnel on the ground in any given country — sometimes referred to as "nation building" — is a costly strategy. Putting a boot or two on Osama bin Laden's door arguably cost more in political currency — Pakistan wasn't too happy — than actual currency. Though it was the SEALs who performed that raid in Abbottabad, it's worth noting there are quite a few more SpecOps units in the US than just SEALs — Green Berets and Marine Snipers, etc. — so we here at Business Insider have made things easy by assembling a comprehensive list of all the SpecOps units we could find. An earlier version of this story was written by Geoffrey Ingersoll. Marine Reconnaissance teams provide intelligence for active small unit operations on the battlefield. Those with Marine Sniper quals can also provide accurate demoralizing small arms fire from a distance. 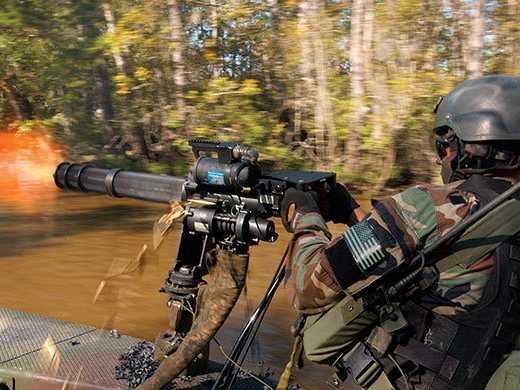 Marine Recon is arguably in the top five of all special operators — capable of harassing an entire enemy battalion for long periods of time; tracking enemy units for larger American forces; or conducting well-orchestrated raids on high-valued targets. These guys are the gems in the crown of the United States Marine Corps. No, it's not a joke. They can literally forecast the weather above a fight, kill the enemy, and direct artillery — simultaneously. The official mission of the U.S. Air Force field weatherman is as a ground-level, small-unit meteorologist who provides accurate forecasts for the purpose of air asset deployment (bombs and stuff). The Air Naval Gunfire Liaison Company is another group that often finds itself in the shadow of sexier special operations units like the SEALs. A single ANGLICO Marine can coordinate a hellish rain of fiery artillery and air-strafing fire on the enemy though, whereas all a SEAL can do is pull a trigger. Typically they don't deploy as individuals, but like any SpecOps group, in teams of four or five. Team Leader (Captain or Navy Lieutenant): any ground MOS - typically JTAC (Joint Terminal Attack Controller)-qualified artillery officer. Team Chief (Sergeant), typically qualified as JFO (joint fires observer) and as a JTAC. Radio Chief (Corporal or Sergeant). Junior Radio Operator (Private First Class / Lance Corporal). Fire Support Man / Scout Observer (Private First Class / Lance Corporal). Amphibious Recon Platoons draw their personnel from Battalion Recon Units and typically support direct action Force Reconnaissance Operations as well as Naval Fleet Operations. To determine characteristics of beaches available for landing, and report the information to the commander at sea. By hydrographic reconnaissance of water near the shore line. By examining terrain in immediate vicinity of beach. By noting beach defenses, such as wire, mines, and other obstacles; troops in immediate vicinity; other defenses. Combat controllers are among the most elite in the military. Top 10 easy. These guys are independent operators, like Marine Recon, except with more air assets. They are experts at stealth insertion well behind enemy lines and are often just a disembodied voice for other ground troops, like SEALs, as they provide air support coordination. They're often on the ground picking targets in America's bombing campaigns and likely played a key role in the Libyan revolution. Combat Control Orientation Course, Lackland AFB, Texas. Combat Control Operator Course, Keesler AFB, Miss. U.S. Army Airborne School, Fort Benning, Ga.
U.S. Air Force Basic Survival School, Fairchild AFB, Wash. Combat Control School, Pope AFB, N.C.
Special Tactics Advanced Skills Training, Hurlburt Field, Fla.
U.S. Army Military Freefall Parachutist School, Fort Bragg, N.C., and Yuma Proving Grounds, Ariz.
U. S. Air Force Combat Divers School, Panama City, Fla. The uncontested number oneheavy-weight champ. The operators of operators, crème de la crème — even the SEALs who killed bin Laden wish they were a part of this crew. Combined Applications Group is their old name, some call them Delta, but that was never an official name either. These guys are the absolute tip of the spear — Matt Bissonnette, one of the SEALs on the bin Laden raid, mentioned them in his book "No Easy Day" as if they were gods. They are also the only group of special operators outside of SEAL Team 6 (ST6) where direct close contact with the enemy is a guarantee upon acceptance, regardless of whether America is officially at war or not. They recruit from the nation's highest special operations units, only twice a year, to include ST6. A timed 18-mile 'ruck-march' at night in which the candidate must carry 35 pounds in their rucksack. A timed 40 mile route while carrying a 45 pound ruck sack over rough, steep terrain. Then they have a rigorous battery of psychological tests. If, after those tests, they're found to qualify, they attend a six-month training course. If they pass the course, they cease to exist. It's said they work hand-in-hand with the nation's highest paramilitary and intelligence agencies. 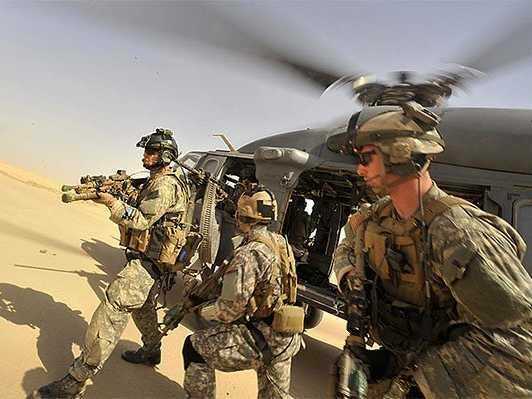 SEAL stands for Sea Air and Land special operators, thus the word SEALs. There are eight "Teams" of Navy SEALs: 1, 2, 3, 4, 5, 7, 8, and 10. Despite having a number, SEAL Team 6 is not counted in the "numbered" teams. They're commonly called "rainbow" because they break personnel down into subsections under four colors — Red, Blue, Gold, and Silver (with a special Gray squadron, the boat squad). Prospective Navy SEALs attend a course called Basic Underwater Demolition/SEAL, or BUD/S. 4 - 12 weeks at the Naval Special Warfare Preparatory School. 3 weeks of physical tests. 25 weeks. Week 3, "Hell Week," 135 hours of continuous physical demand. 28 weeks at SEAL Qualification Course, which includes all specialized training courses to produce combat ready Navy SEAL. At Navy SEAL balls, I've heard it's common to hear SEALs ask each other, "Are you a number, or a color?" The colors are (or possibly used to be) Red, Blue, Gold, and Silver. They're a firm number 2 under Army CAG. 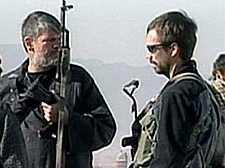 Since 2001 SEAL Team Six has been focused on operations in and around Afghanistan. The unit is also able to carry out pre-emptive CT operations. DEVGRU sometimes provide security for VIPs. 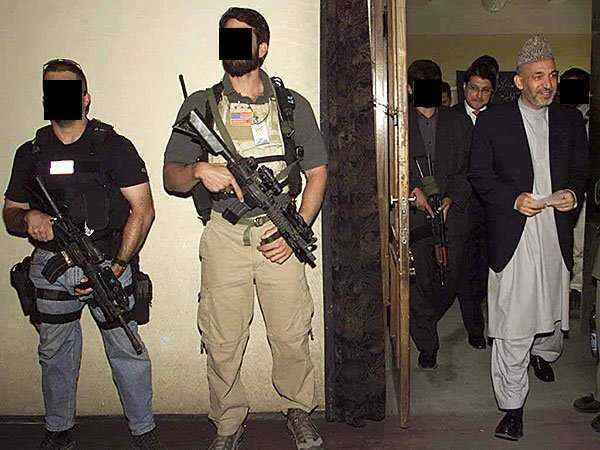 For instance DEVGRU provided Afghanistan President Hamid Karzai with close protection in the early days of his Presidency. DEVGRU operators, especially those trained as snipers, are experts at reconnaissance, surveillance and intelligence gathering operation. 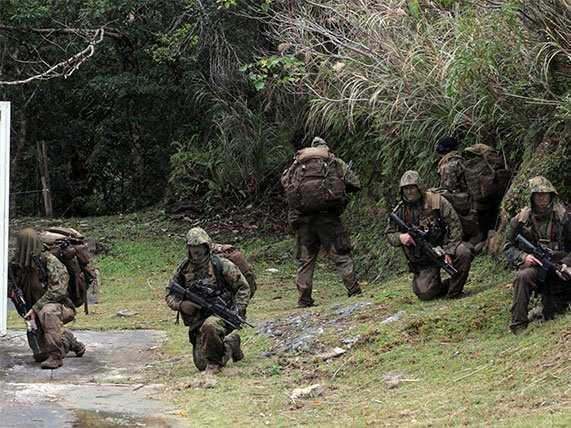 FAST teams get a bum rap from a lot of other special operations units, in large part for them being comprised of regular straight-leg infantry. Grunts, in other words. Nonetheless, they perform a special set of tasks. Their most common mission is to deploy and reinforce American diplomatic missions and embassies. 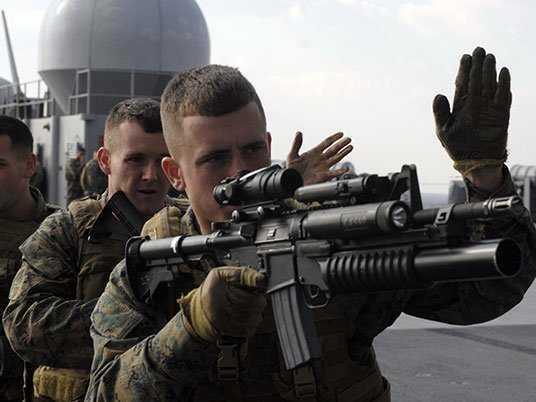 Marine Corps Force Reconnaissance, otherwise known as Force Recon, are a company-sized (about 200) recon and direct-action element that falls directly under the Marine Expeditionary Force commander, or the Naval Strike Group commander, depending on whether they're aboard a ship or on land. Because of their direct line to a commander, Force Recon often finds itself in the position of performing, lets say, "highly sensitive," special operations — making "Recon" a bit of a misnomer. The sheer amount of training and the scope of their operations put them in a close heat with numbered SEALs for the number-three rank as top operators. Marine Corps Combatant Diver Course — Navy Diving Salvage and Training Center, Naval Support Activity Panama City, Florida. Survival, Evasion, Resistance and Escape School* — Navy Remote Training Sites; NAS North Island, CA or NAS Brunswick, ME. Army Airborne School* — Fort Benning, GA.
United States Army Static Line Jumpmaster School (Fort Benning, Georgia). United States Army Ranger School (Fort Benning, Georgia). Special Operations Training Group Schools (i.e. Urban Sniper, HRST, etc.). Recon and Surveillance Leaders Course — Ranger School, Fort Benning, GA.
Pathfinder Course — Army Infantry School, Fort Benning, or Army Air Assault School, Fort Campbell, Kentucky. 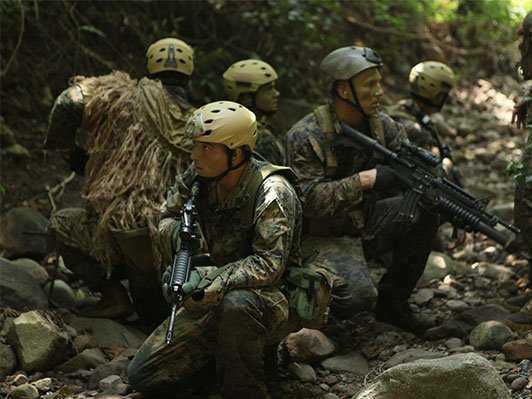 Though MARSOC Marines tend to be former Recon or Infantry, any Marine with the guts to give it a shot and the muscle to match can end up as an operator for Special Operations Command (SOCOM), the unit MARSOC falls beneath. They also remain somewhat of a sore spot among Marines — common among complaints are that anyone can try out, they don't fall under traditional Marine command structures, they think they're special, etc. Assessment and Selection Preparation and Orientation Course — A 21-day course that is basically just practice for the real initial test. Assessment and Selection — A 19-day course which weeds out anyone unable to complete the grueling 7-month training evolution to become MARSOC. Phase 1— Communications and combat medicine — the culmination of this phase is completion of the Survival Evade Resist Escape school. Phase 2— Amphibious operations, tactics, weapons and special reconnaissance. Phase 3— Urban operations: marksmanship, close quarters battle and urban combat. 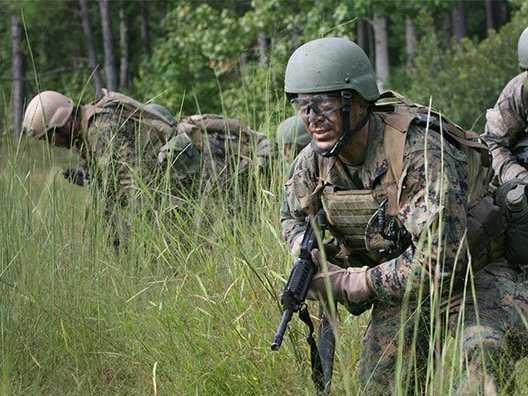 Phase 4— Eight weeks of irregular warfare training, followed by the culminating exercise. Piracy is such a problem, the Navy decided to take the best of its personnel, throw them in high-speed boats, and set them on some pirates. The Maritime Raid Force is basically a bunch of really good, really aggressive trigger-pullers who fearlessly hit pirates hard, right in the mouth. 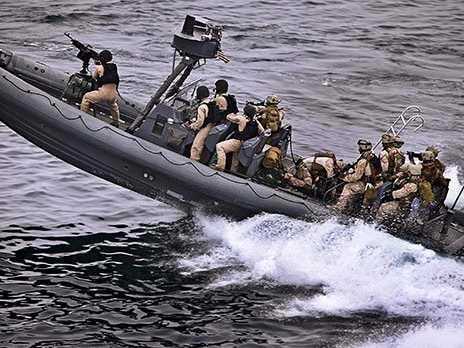 It's essentially the Navy's All Star team for countering pirates — a hodgepodge of Navy and Marine personnel, SEALs, Marine Snipers, and Recon, who often draw off knowledge from the Amphibious Reconnaissance Platoon to conduct counter-piracy and interdiction operations. Though they don't conduct a wide array of "special" operations, their targeted and highly trained nature earns them a spot on the BI list. Assault Element: Navy SEALs or Recon Marines . Security Element: Infantry Marines, Snipers. Support Element: Radio, intel, forward air controllers, etc. Aviation, Close Air Support: Marine personnel typically supersede Naval pilots in this task. Though not super high on the special list, they're elite nature means they have to be first-responders to counter narcotics shipments, weapons shipments, and even acts of terrorism. 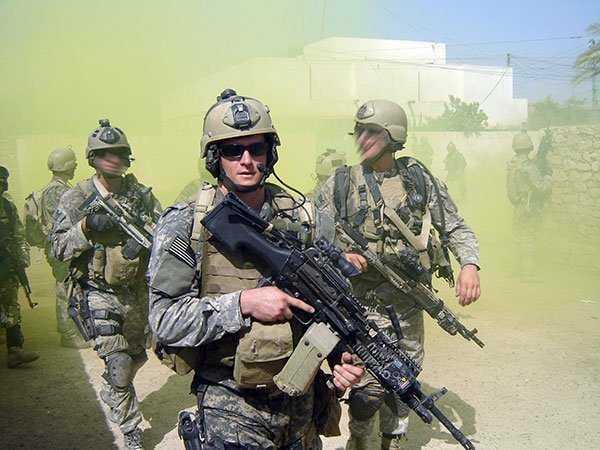 Pararescue jumpers insert well behind enemy lines in order to rescue lost personnel, typically pilots. Just a tick less cool than their combat controller brethren, simply because their main mission is to rescue, not to attack — they fall just outside the top 5. Nonetheless, they have to be ready to fight off hundreds of enemy fighters by means of clever guerrilla warfare, traps and specialized small unit tactics. Certainly they can't expect a prima donna pilot to adequately defend himself, so they're well trained and super aggressive. 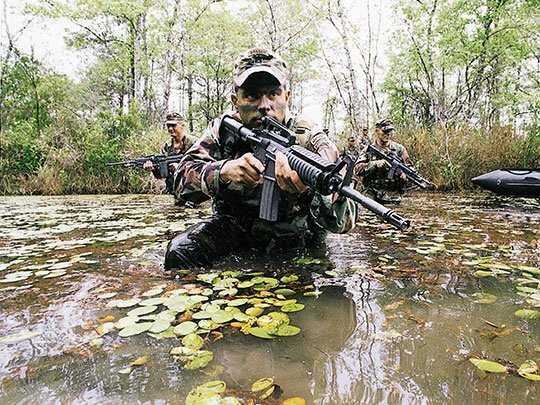 Rangers are the Army's elite, light infantry shock-troops — airborne qualified and tough as nails, they can either support higher units — like Army 'Delta' — or conduct raids on the enemy themselves. Assuming a recruit enters the Army with a contract to be a Ranger, it'll take about a year of training to go from civilian to basically trained Army Ranger. As the Army's "shock troops," they do conduct special operations, but oftentimes those ops fall in line with what regular Marine infantry does — in this way, they are elite, but certainly not close to the top dogs. 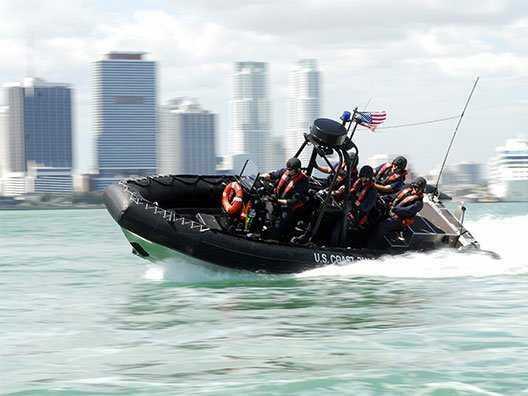 The Recapture Tactics Team is a sub-unit of Marine Security Forces. The SWAT-like unit is responsible for guarding Naval bases, particularly those in possession of nuclear technology. 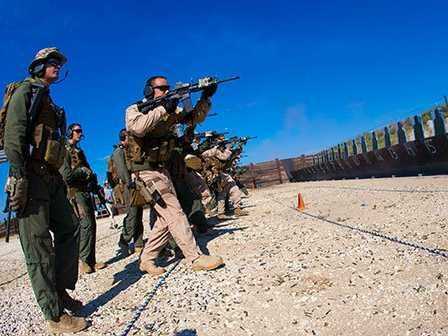 Aside from attending Marine Designated Marksman and Close Quarters Battle training, these Marines also attend Naval demolition breaching courses (not unlike Navy SEALs). All put together, their main job is to assault a well-fortified room and take back U.S. property — not a wide range of special operations, but still specialized. Sharpshooters, typically armed with M14 Designated Marksmen Rifles, with high powered scopes and silencers. The Special Activities Division in the CIA is comprised of only a few hundred people. For good reason — their main mission is complete "deniable" operations. If Rainbow Six is Black Operations, then SAD is the shadow cast by those operations. The Agency can and does recruit from within for these positions, sending Agents through the actual military pipeline to get organically trained agents. They also hire former SEALs, Green Berets, and Marine Recon. SAD Ground Branch operatives are experts in field craft, surveillance, small arms, hostage rescue, CQB and advanced driving. 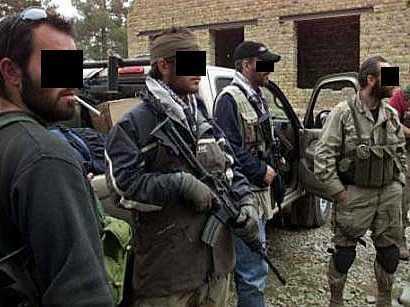 Many former Army Special Forces soldiers and Delta Force operators find their way into Ground Branch. As the name suggests, SAD Maritime Branch's focus is on amphibious operations and as such tends to recruit ex SEALs and Force Recon Marines as its operators. 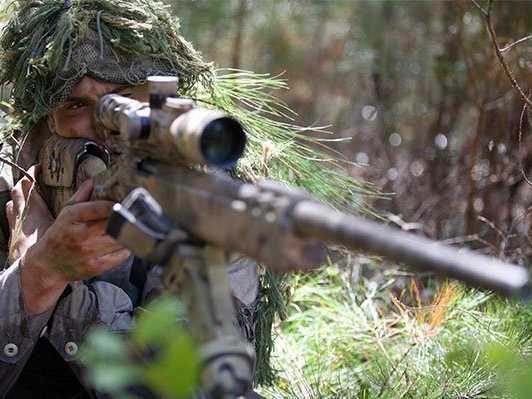 Scout Snipers are subject matter experts on identification of high valued targets, visual reconnaissance, and ingress and egress, without detection, from enemy occupied territory. Oh yeah, and they can shoot hair off a tick's behind from a kilometer away. They're not super elite in that the military will use them for raids, but their expertise at recon and shooting high-valued targets in the face puts them squarely into the realm of special operations. Running. Running. More running. Students also learn how to sketch terrain, read targets through a spotter scope, and hit targets at "known" distances. 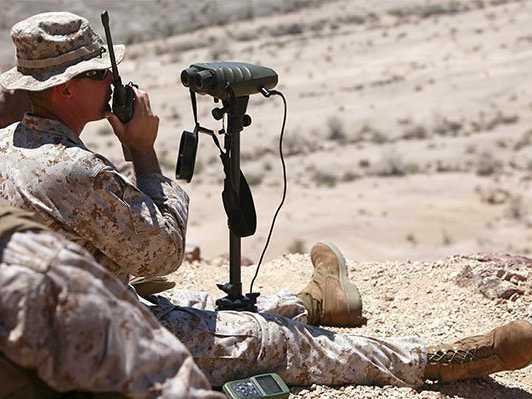 Students learn how to enter a contested area unnoticed, scout that area, and exit unnoticed — meanwhile, trained, hardened sniper instructors scan the area with high powered binoculars, looking for the students. Students fire at targets upward of a kilometer away, without being told exactly what the distance or elevation is. The Marines must accurately range and hit their own targets. When the SEALs are in a bind, they call SWCC. Combat Crewman provide highly aggressive, tactical "exfiltration" of SEAL units. They can be loud and destructive, or quite quiet, as they aid and reinforce SEALs who may or may not be in a particularly nasty situation. Eliteness: Not as high level as Force Recon, but not quite in the middle with Rangers. 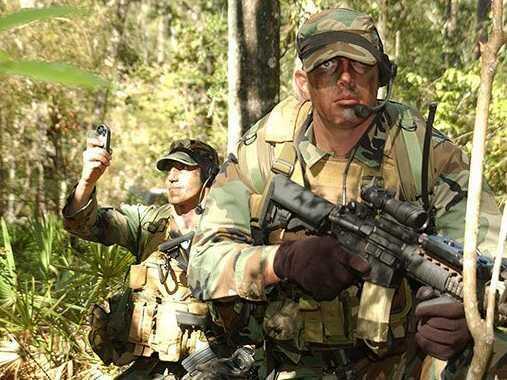 Army Green Berets — "Special Forces"
Army Green Berets are among the most elite groups in the world, and provide a pipeline to higher units, like the Army's "Delta" CAG, and the CIA SAD. They have about as much street-cred as numbered SEALs and Force Recon, depending on who's doing the talking. 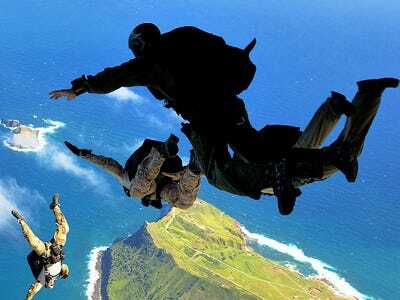 Notably, Green Berets have some of the toughest initial training in the entire military (at the risk of drawing the ire of SEALs and Marine Recon). Their initial test lasts an incredible 24 days, and that's just to see if you can attend the Green Beret qualification course. Days 1 — 3: Physical fitness tests, language training, rucksack marches, basic first aid. Days 20 — 22: Long distance trek, long distance land navigation. Days 23 — 24: Outprocessing and official selection boards. — Tactical Response Force:Kind of like police SWAT teams, except with nuclear bombs. Air Force TRFs protect nuclear missile silos. — Tactical Air Control Parties (TACP): **"**Tacs" guide close air support and artillery by radio or other communication, often from behind enemy lines. — Special Operations Aviation Regiment (SOAR): These are the guys in those infamous black helicopters. 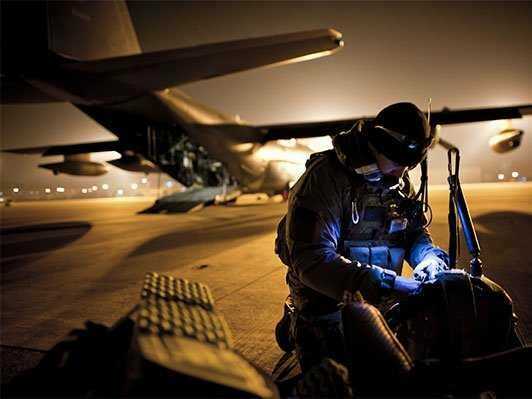 Dubbed "The Nightstalkers," they're a group of upper echelon tactical aviators who support operators on the ground. — Intelligence Support Activity (ISA): Referred to as "The Activity," this Top Secret unit performs Human Intelligence (HUMINT, spies and assets) operations and Signals Intelligence (SIGINT, "listeners"). — Asymmetric Warfare Group (AWG):A group comprised of only about 400 people who specialize in developing methods to counter asymmetric threats. They advise the officers who implement policy in the field. 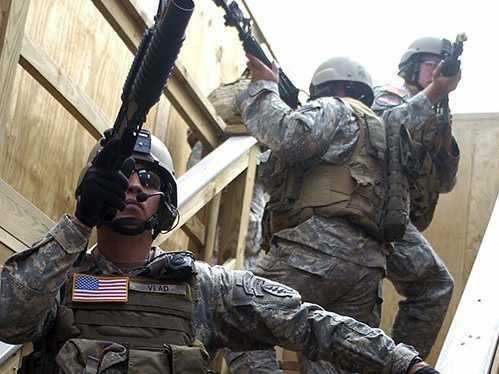 — Special Reaction Teams: Army version of civilian SWAT teams. — Helicopter Sea Combat Squadron 84: The "Red Wolves" are the Navy's version Army SOAR. They provide heliborne support to Navy SEALs and SWCC operators on the ground. — Radio Recon Platoon:Radio reconnaissance members are specialized warfighters who also provide communications to Marine Corps Recon operators. 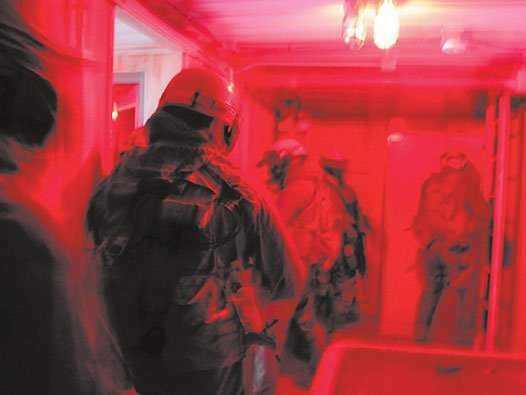 — Special Reaction Teams:A Marine Corps version of civilian SWAT teams.